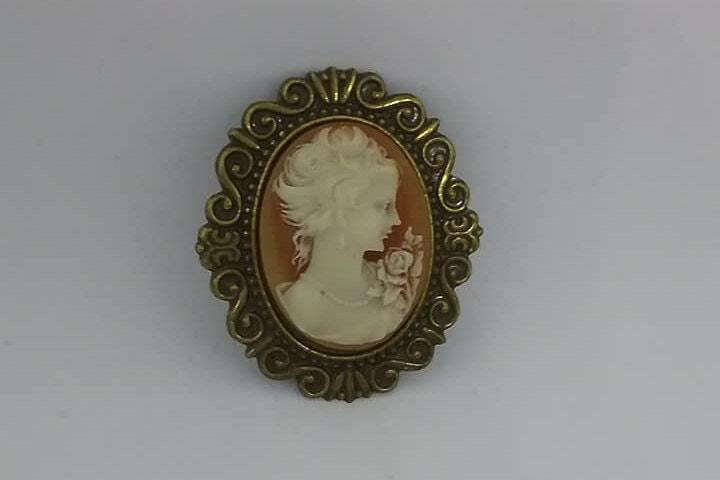 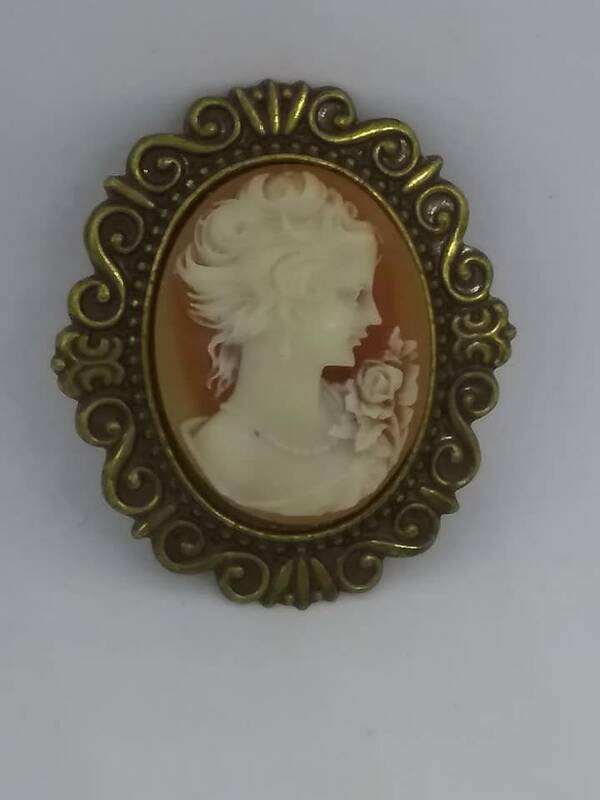 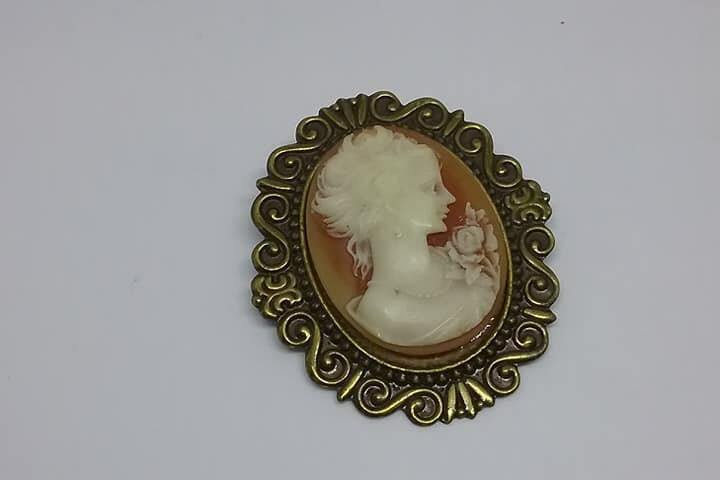 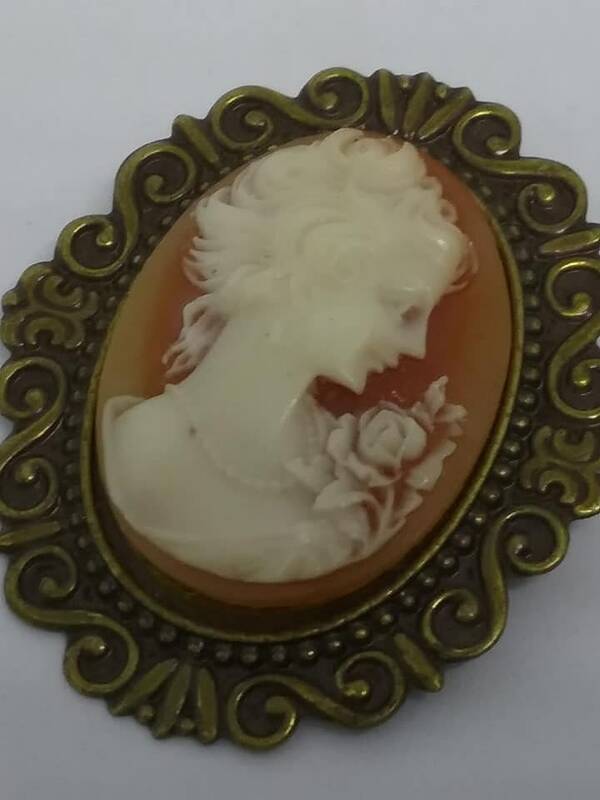 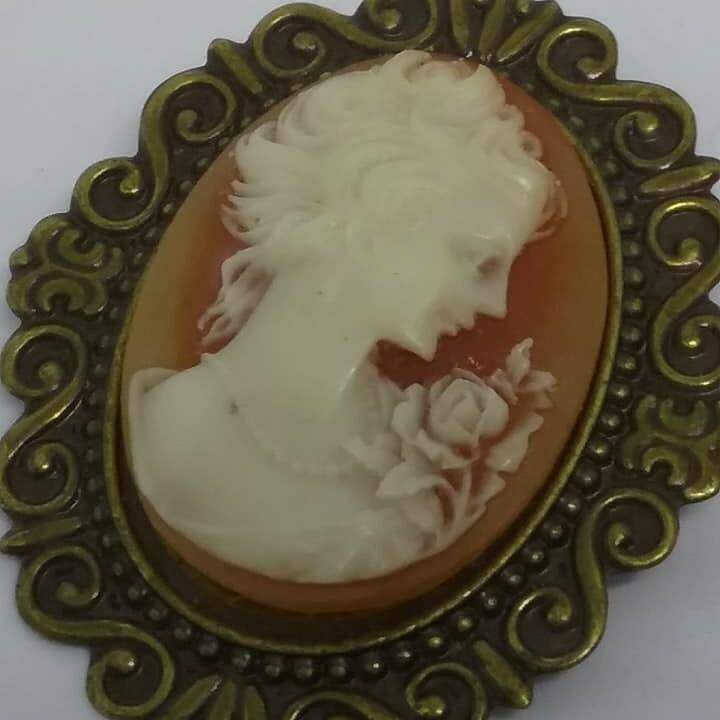 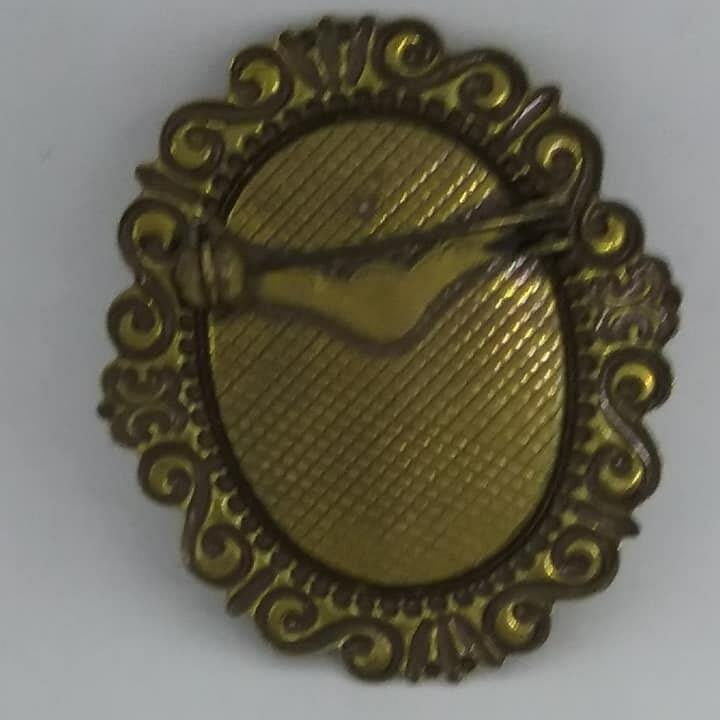 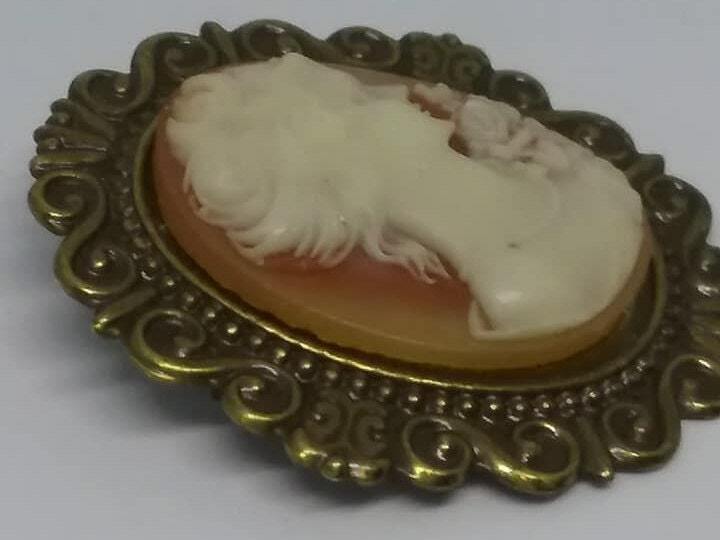 Vintage Lucite Cameo Brooch, Victorian Revival , Lucite in orange highlighted by white resin silhouette of a young woman and flower, mounted on brass setting. 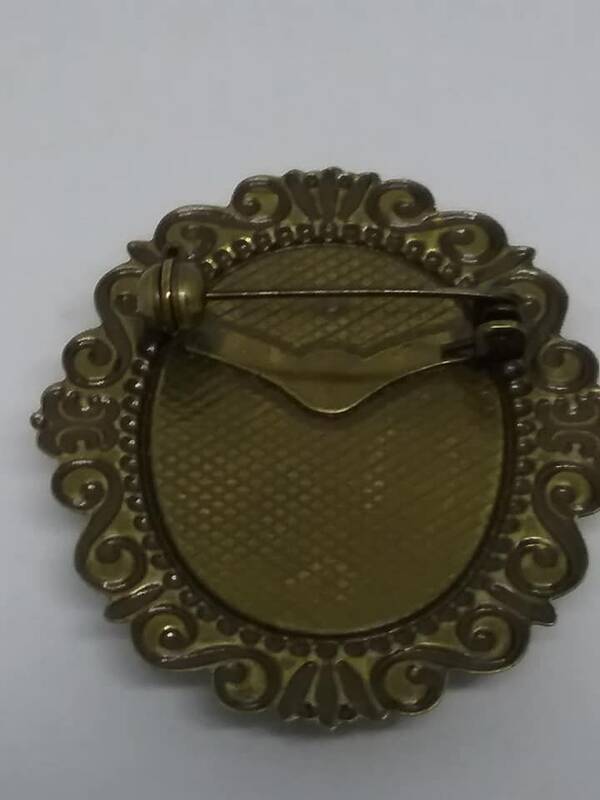 Detailed scroll work around edges. 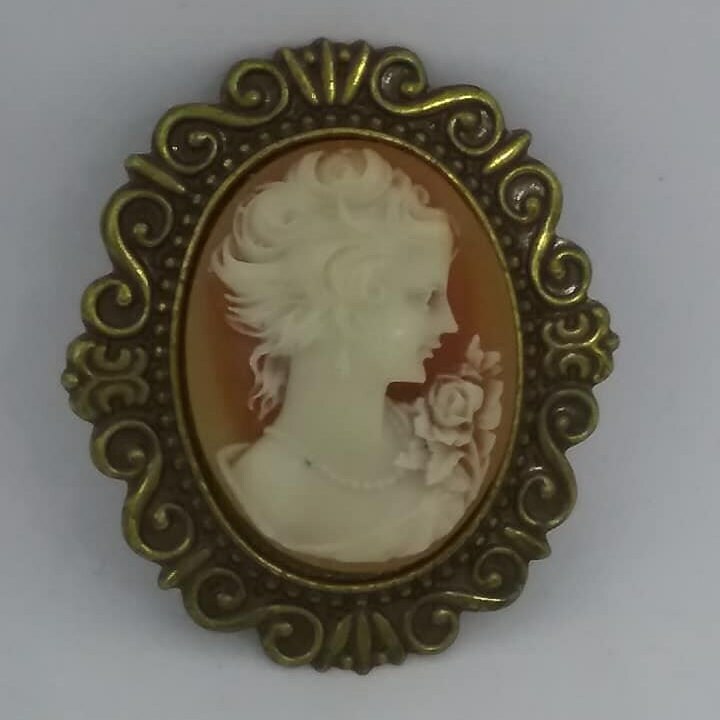 A lovely piece in excellent vintage condition.